New World “coupled up” with renowned rum brand Sailor Jerry for a summer incentive to engage our teams even more than watching Love Island! 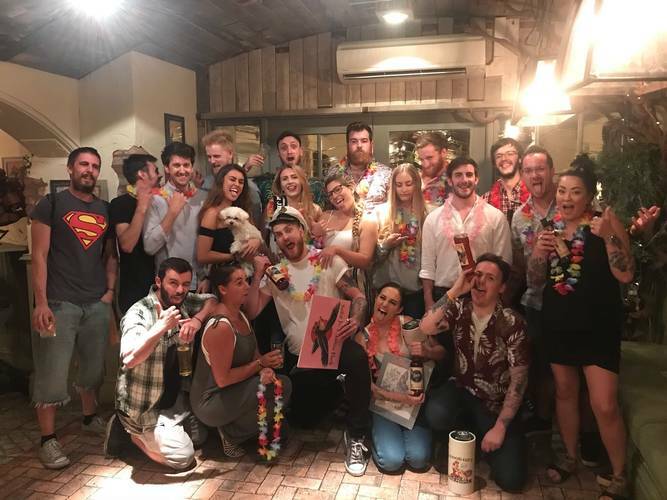 The Sailor Jerry team told us they recognised New World as a ‘people focused’ company and this presented the opportunity for two great teams to collaborate and increase brand awareness. 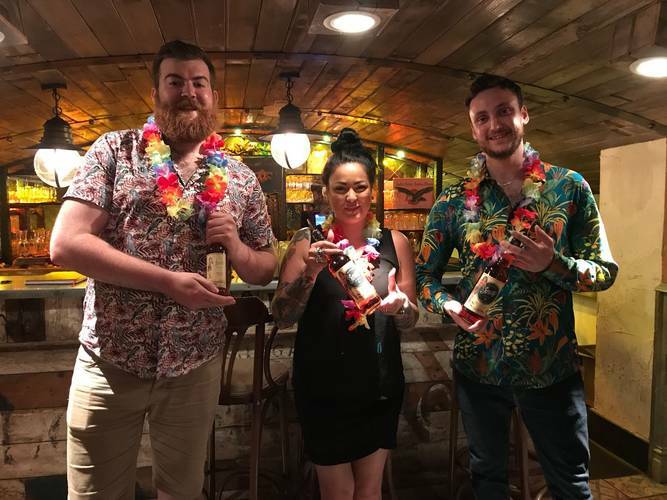 Our teams entered applications via the TRIBES app, with the hopes of getting to the final challenge and featuring on the Sailor Jerry’s ‘Rum to Riches’ cocktail list, which will be sold in our sites throughout September… but, most importantly, our top seller will win an all-expenses-paid trip to Hawaii! Sailor Jerry has frequently teamed up with hospitality brands but told us that our team engagement project TRIBES is the “first of its kind” they’d come across outside of the US! Our partnership started with a fun-filled ‘Pins & Pin Ups’ bowling event in Manchester to bring our teams together with drinks, cocktails, music, food and even a photo booth to capture the memories. The goal for our TRIBES team and the Sailor Jerry team was for everyone to leave having had a fun day out in their teams. The event was a fun way to begin our collaboration and introduce Sailor Jerry to our teams who may not know much about the brand, it’s rich history and unique style. After the success of the event, we announced a competition to create a Sailor Jerry cocktail, encouraging our teams to get involved and get creative. It gave them a chance to play around with the product, get to know it and get ideas. It also gave our teams a sense of ownership around the incentive as they were involved in the process of creating the menu they will be selling instead of just giving them a menu and telling them to sell it. This way, they have all been involved throughout the process and have even followed the competition updates closely on the TRIBES app. Our bar experts Morgan, Ste, and Kelly chose their top 8 candidates to continue to the final where they would showcase their creations to our judges; making their cocktails and demonstrate their brand knowledge, showmanship, skill, and enthusiasm. Our judges were impressed with the intricacies of their ingredients and the extensive research behind their creations to narrate a story.